This entry was posted in art market, artisans, blog, christmas, christmas craft, christmas craft show, news, Uncategorized and tagged art market, artisan craft, artisans, christmas craft show, fine craft, gifts, island artisans, Island Artisans Association. 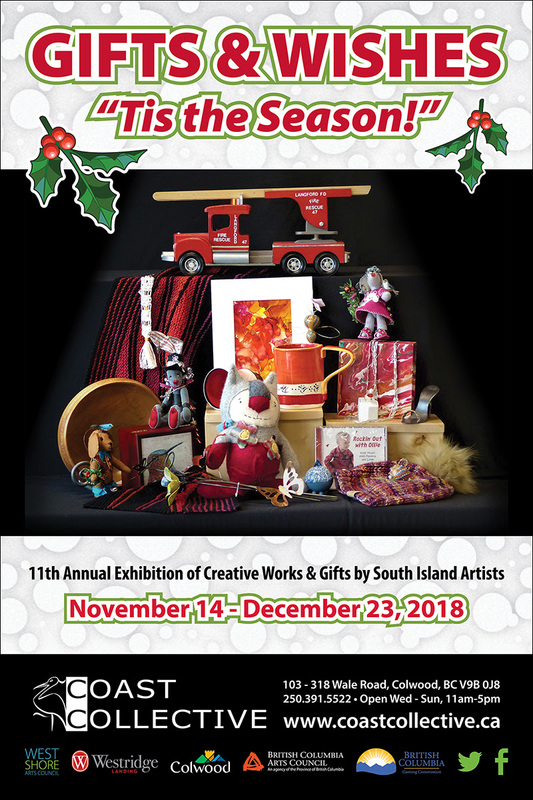 Major Island Artisans’ Opportunity Coming in 2019! 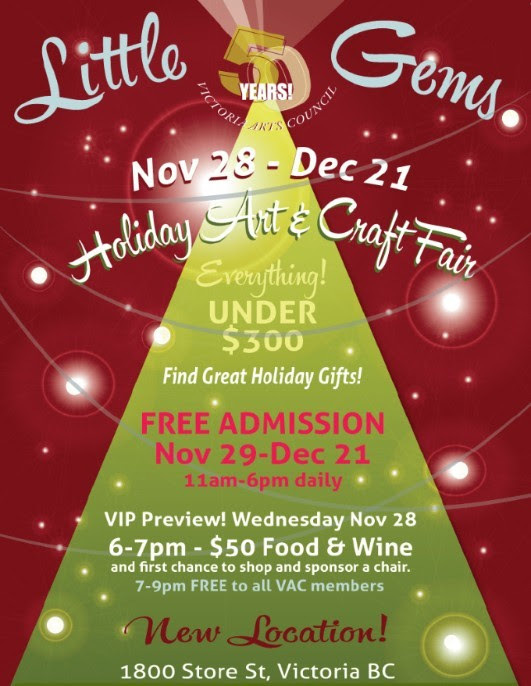 Where to Find some of IAA’s members works this holiday season! The mission of the Island Artisans Association is to support and assist artisans to create a successful craft industry, and to foster excellence in crafts. The association grew out of an initiative undertaken by the Community Economic Development Corporation, CEDCO, in Victoria. The craft industry in this region is comprised mainly of self-employed individuals making a diverse range of objects in studios scattered over a broad area. The CEDCO study started a process that brought together these craftspeople to share their ideas for the advancement of the craft industry locally. It was decided that an organization was needed to speak for craft producers and assist in the development of skills to attract more rewarding markets. To this end, the IAA was formed and incorporated as a non-profit society in August 2002. Go to IAA History for more information. Since the inception of the IAA, many activities have been pursued to help craftspeople connect with one another, improve their business skills and their profitability, and raise the profile of the craft industry in the region. There is an elected Board of Directors who work diligently to bring interesting and topical programmes to the monthly meetings and to make decisions that are timely for the association. A members’ meeting is held once a month in Victoria and this website that showcases our artisans and their accomplishments as well as the activities of the group. It is a testimony to the organization that many of the founding members are still active in the association. Captcha - Enter the following characters in the field below.